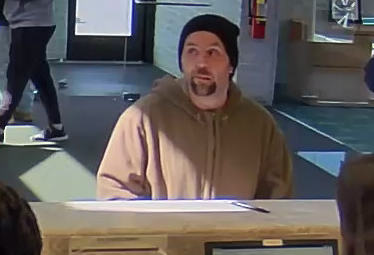 The Camden County Prosecutor’s Office and Berlin Borough Police Department are seeking the public’s assistance in identifying a man who robbed a bank today. 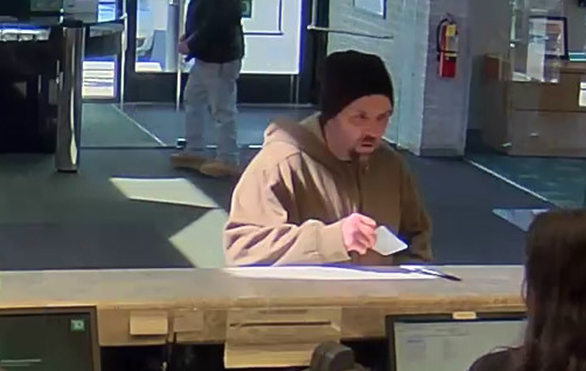 The suspect entered the TD Bank located at 247 South White Horse Pike in Berlin Borough at approximately 11:19 a.m. and passed a demand note to a teller. 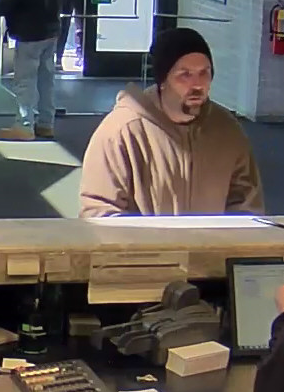 After receiving an undisclosed amount of cash, he fled the scene and headed down the White Horse Pike. 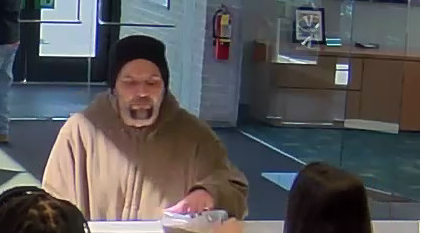 The suspect is described as a white male who stands at approximately 6’00” with facial hair. 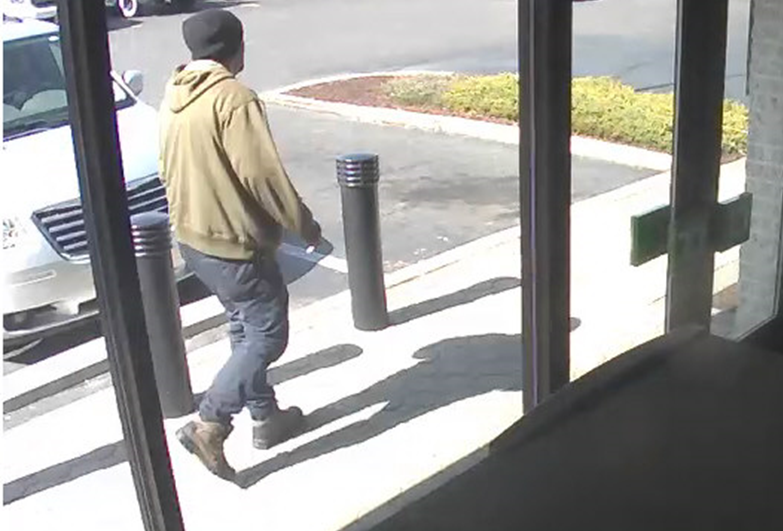 He was seen wearing a black beanie style hat, a long-sleeved green hooded jacket and dark colored boots. Authorities believe he frequents Camden and that he may be riding in an unmarked white construction style van. Surveillance photos of the suspect are posted below. Anyone with information is urged to contact Camden County Prosecutor’s Office Detective Jeremy Jankowski at (856) 580-5950 or Berlin Borough Police Department Detective John Feger at (856) 767-4700. Released Sunday, March 24, 2019.